The implementation of the emergency manager law by Governor Snyder is flawed and perhaps so is the law itself. Coming from being the head of a major corporation, I am surprised the Governor does not see this. Kevyn Orr has two roles as the Emergency Manager (EM). The first role is to oversee the restructuring of the City's debts in a manner that puts the city in the best posture possible to fulfill its duties and responsibilities to its citizens and this may include bankruptcy. Mr. Orr's duties in this role are transnational in nature; repair the damage as much as possible, cut deals with all the stakeholder creditors and leave. Orr has until September 2014 to get this done. Orr's resume and background as a bankruptcy attorney is well suited for this task and I believe he is doing a good job. 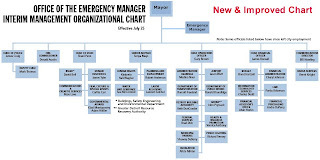 The Emergency Manager's second responsibility is to operate as a temporary Mayor or CEO of the city making sure the municipality is operating efficiently and meeting both the short term and long term objectives of the city's citizens. Interpersonal skills are needed for this role. It requires the building of a team, motivating that team and setting up proper controls to oversee and monitor the results of the team. 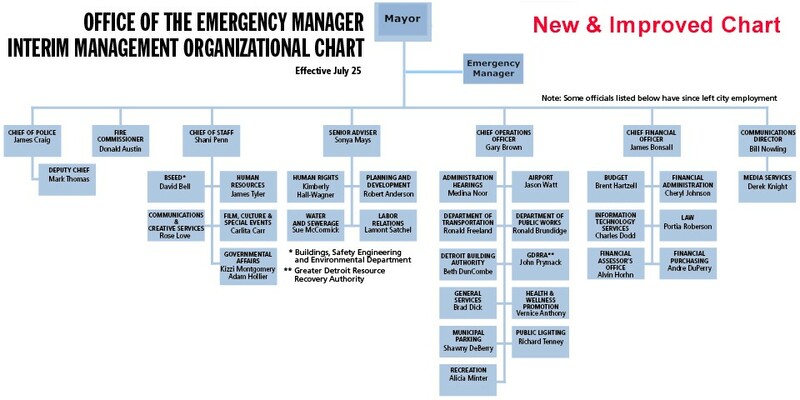 It is in this role Mr. Orr and the Emergency Manager law itself is failing. A CEO must have a long term vision of what he wants the city to be and he must have an incentive to get there. Kevyn Orr does not have the experience to identify and meet the long term objectives of the city. Further he does not have any incentive to get there. He knows he will be gone in 12 months and he knows he will not be looking for a job in the future to oversee any political body.